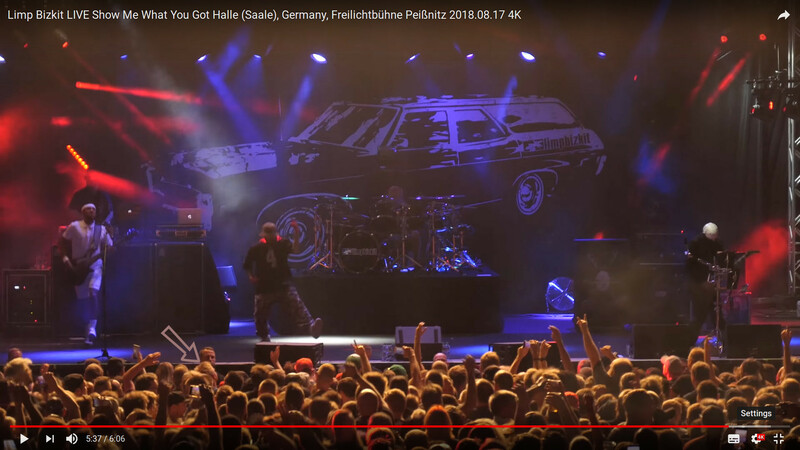 Arnd and I went to see Limp Bizkit at Halle which was a 2,5 hr drive from Berlin. We went all the way up in front of the stage and .. we were blown away. Literally. I was amazed how many cover songs they were playing. For example "Killing in the name of" – one of my favorite songs, ever. And did you know, Dog Eat Dog still existed? And Behind Blue Eyes is a cover, too, after all..